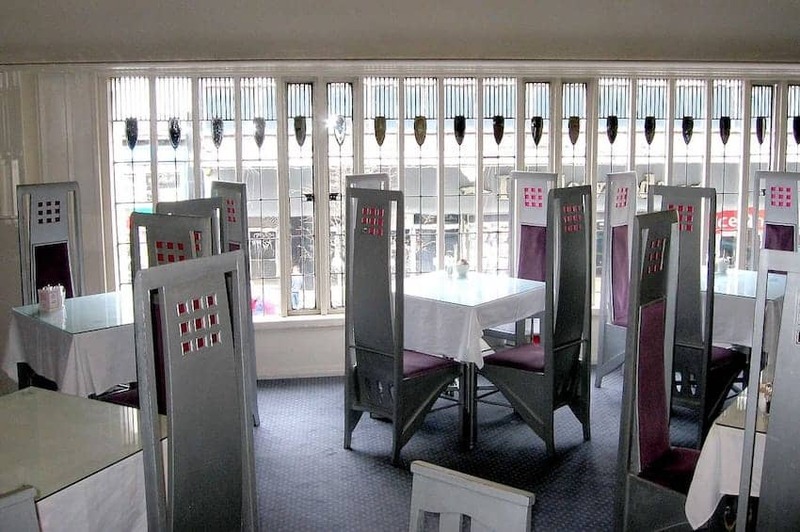 The original Willow Tea Rooms opened in 1903 at Sauchiehall Street, Glasgow, were designed by the renowned architect Charles Rennie Mackintosh. Regarded by some as the jewel in the crown of Mackintosh's work, they are the most famous of the many Glasgow tearooms that opened around that time. The Room de Luxe still has its doors, windows and mirrors and has been furnished with reproductions of the original furniture. The all-day menu included Scottish favorites such as Cullen Skink and Haggis and traditional Afternoon Tea was also served. CURRENTLY CLOSED while an extensive restoration takes place, it is expected to re-open in June 2018. In the meantime, visitors also enjoy the Mackintosh inspired Willow Tea Rooms at 97 Buchanan Street and on the 3rd floor of Watt Brothers department store.